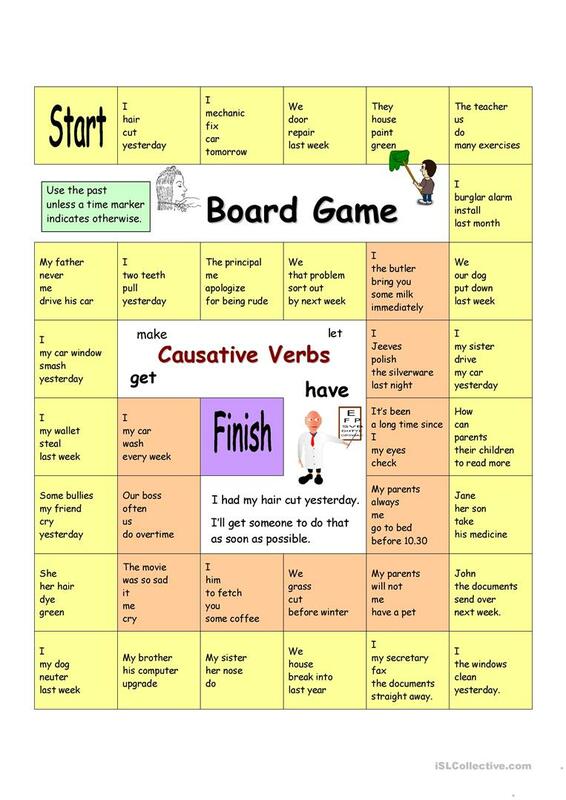 With this board game students will practise causative verb structures (both passive and active). Please review necessary grammar points before the game to make it a success (causatives can be tricky). An enjoyable way to test and practise grammar. This printable, downloadable handout is a great resource for high school students, elementary school students and adults at Elementary (A1), Pre-intermediate (A2) and Intermediate (B1) level. 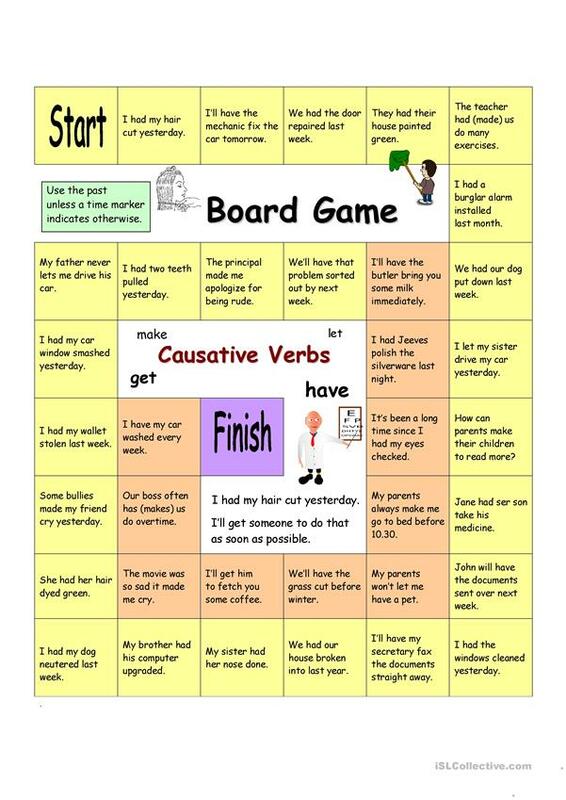 It is valuable for revising Causative in English, and is excellent for working on your class' Listening and Reading skills. 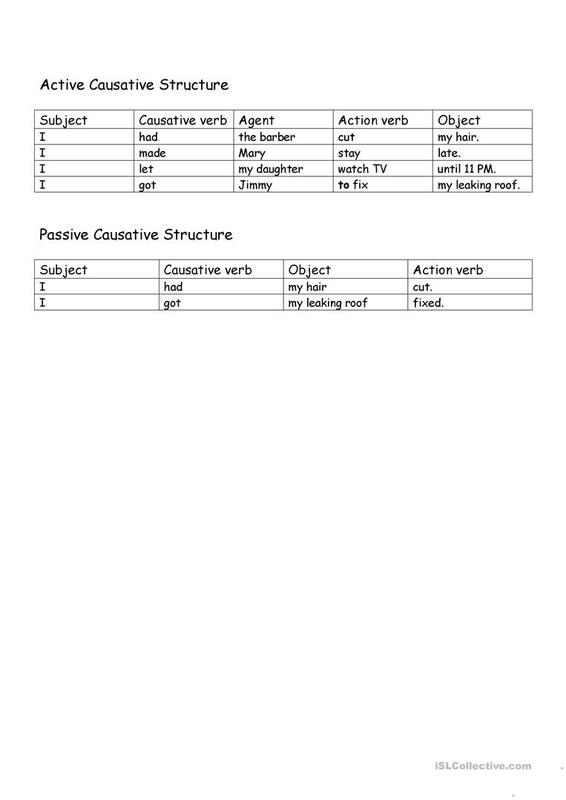 There is a key provided with the exercises.